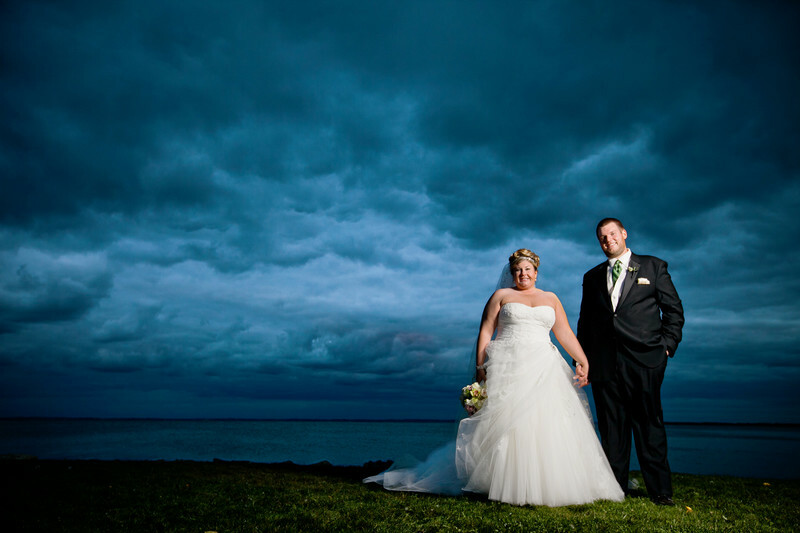 Whenever I get blessed with a fantastic sky I like to include my brides and grooms in the photograph. When shooting during receptions I will usually keep an eye on the sky so as I don't miss the opportunity to shoot a wonderful sky such as this. And with these situations I'll bring along a light to help balance out the wedding couple and the lovely sky. For this photograph at The Waters in Oshkosh it was a cloudy day. When I lit the bride and groom I purposefully darkend the sky to create a bit more drama to the image. 1/100; f/4.0; ISO 200; 28.0 mm.